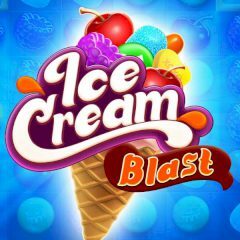 There are many sweets you can add to your ice cream, but you have to make a certain ice cream in a limited amount of moves. Place a berry on the top of it! The order says that there are certain ice creams that should be delivered immediately. You should add berry or candy on the top of the ice cream. Rotate sweets on the field to drop the correct ones and fill the cone slot. Try to use only a few moves to perform a fast victory and get maximum point for it.